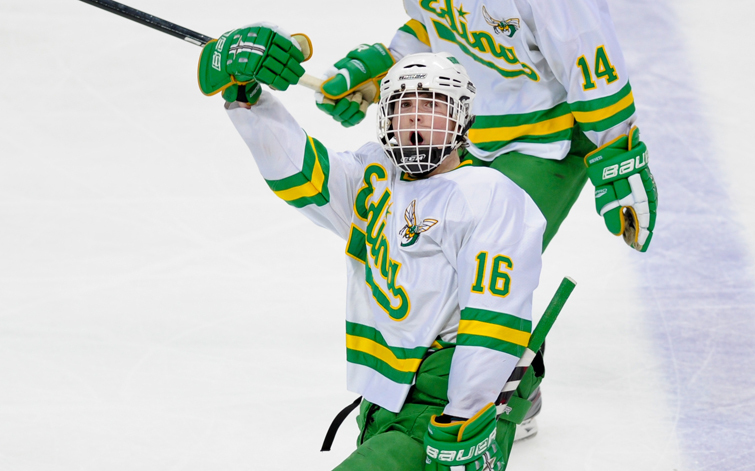 Edina will send four players and Minnetonka three to USA Hockey National Player Development camps this summer in Rochester, N.Y., the most of any state high school league programs. Edina forwards Dylan Malmquist and Cullen Munson and Hornets defenseman Jack Walker are among the 19 Minnesota players who will participate in the Select 16 camp July 7-13 in Rochester, N.Y.
Minnetonka forward Jack Ramsey and Skippers defensemen Jimmy Schuldt and Tommy Vannelli, along with Edina forward Connor Hurley, are among the 16 players picked for the Select 17 camp June 23-29. Each state sends a predetermined allotment of players to the national camps each summer, with the number advancing determined by USA Hockey. Minnesota players were selected after two consecutive weekends of tournaments in Plymouth. After a series of tryouts, players were divided into eight teams based on Minnesota State High School League playoff sections. The top 54 players from each of the two age groups were then selected to compete in a two-day round-robin event that concluded on April 25. All selected players will receive information about the national camps from USA Hockey by e-mail. Questions about the Select 17 selections can be addressed to Rick Lowe at 320-333-5696 or rickl@minnesotahockey.org. Select 16 questions can be addressed to Mark Palmer at 612-325-8068 or markp@minnesotahockey.org. National camp dates: July 7-13, Rochester, N.Y.
National camp dates: June 23-29, Rochester, N.Y.